The New Adwords Format - Are You Behind the Curve Again? - Internet Marketing that Works! Adwords policy on the ad format changed recently. 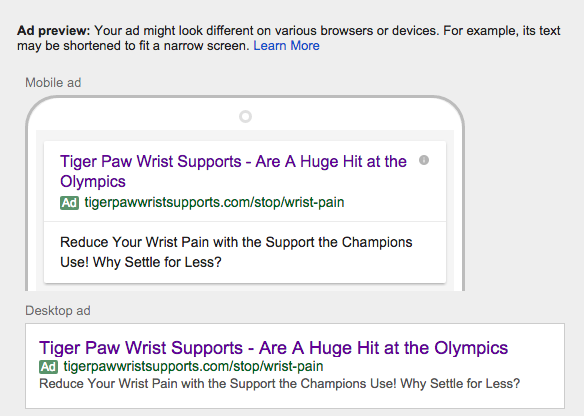 The promoted reason from Google was to bring the ads in line with the mobile view of things. This of course makes sense given the fact that recent data shows over 50% of all web content is now being viewed on mobile devices. At first glance you’d be tempted to say, ah cool, more room! We all struggle to make compelling copy in such small spaces after all. However, the real gravy in my opinion is the way they’ve changed it, and 2 special little fields I have not mentioned yet. 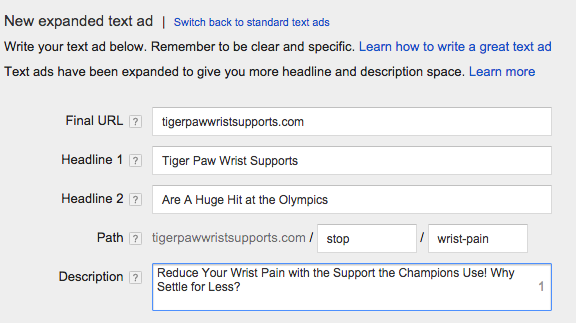 Larger Adwords Headlines Should Mean Higher Click Thru Rates! Of course as anyone who’s ever used this traffic source knows, there are no guarantees. But having more copy in the headline should be a good thing, time to test. The new format just slides this to the right end of the display URL. In my mind this actually makes for a cleaner ad. I have ads which have been running for years that I have not been able to beat in tests. I am hopeful that these new changes will give me a little bump for both my private campaigns as well as those of my clients accounts. Of course, the beauty of adwords is you don’t have to guess. The public will let you know if your ad is better or worse than the control you’re testing against. That’s what’s great about the system. So don’t dilly dally, get at least one new ad in each adgroup written in the new format and see if you can improve your account’s performance. In a game where your performance changes can often be measured by adding a comma or capital letter someplace in the copy, these new features should generate very measurable impacts. And if all of this gives you a headache, call or email me. It’s what I do, I have lots of aspirin!